Numerous Chrome Art posters were produced in the late 1990s. Most were matted to 8″ x 10″, but two full size posters were produced for Star Wars: Episode I. The heroes version featured here as well as a villains version which featured Darth Maul, Sebulba, Battle Droids, etc. Not only were these posters printed on a foil-backed paper, they were slightly embossed so that the character faces stood out. 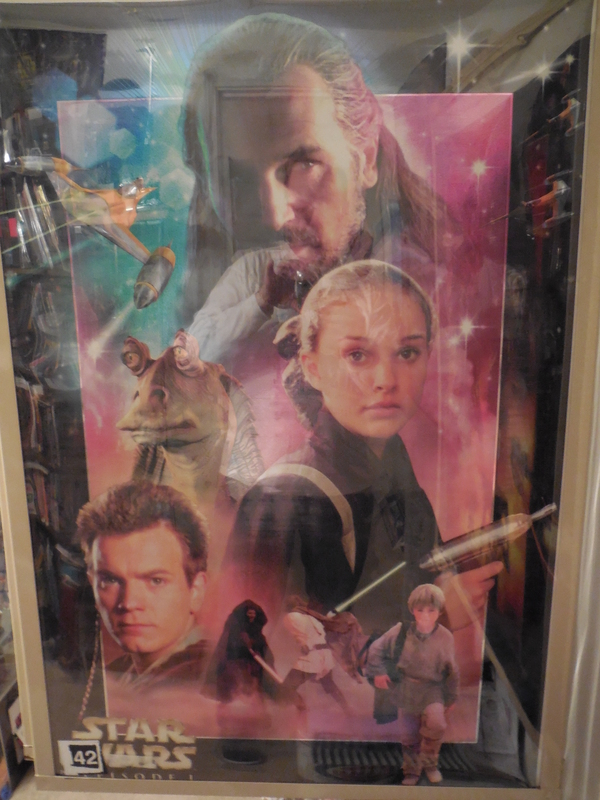 I purchased both posters at Tatooine Traders at Disney-MGM Studios, i.e., Walt Disney World. The metal in the posters made them opaque on the TSA x-rays, so I had to remove them from the poster tube to get through security.